About 30,000 global traffic and mobility professionals are expected this week at Intertraffic Amsterdam 2018. 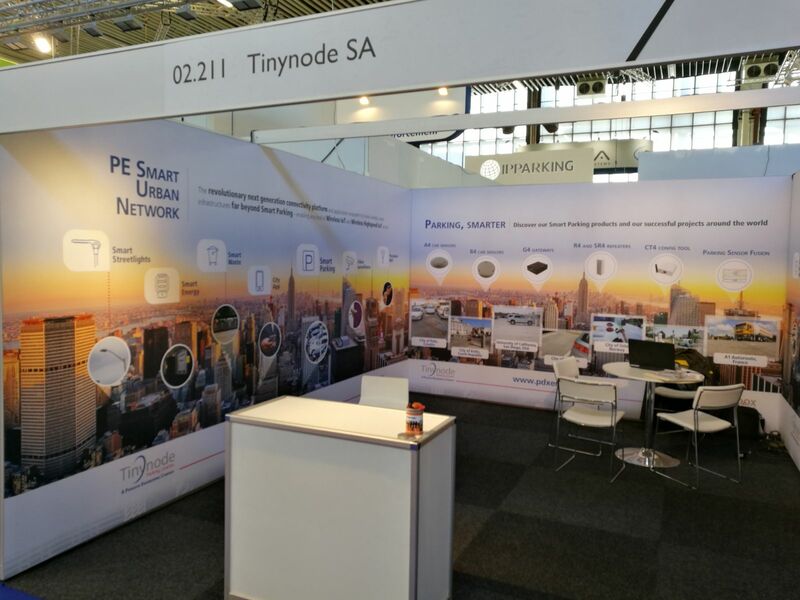 If you are visiting the exhibition, don’t miss Tinynode at Hall 2, booth 02.211 to have a live demonstration of our Smart Parking technologies and their benefits for Cities and drivers. Learn more about Tinynode’s high-accuracy wireless vehicle detection systems: our solutions represent a compelling and cost-effective way to reduce road congestion up to 30% by increasing the average usage of existing parking facilities, reducing idle itineraries looking for a free car spot, and related fuel and time waste, stress, and air pollution. Thanks to a unique patented technology granting over 99% radio communication availability, 98% detection accuracy and up to 10-year battery life, Tinynode A4 and B4 sensors, G4 gateways, R4 and SR4 repeaters enable the implementation of secure and reliable wireless networks for a number of parking-related applications, fitting the needs of off-street and on-street car parking, indoor and outdoor facilities, multi-storey parks, time-limited parking lots, electric vehicles reserved areas and charging stations. At Intertraffic Amsterdam 2018 we are also offering a sneak peek of Parking Sensor Fusion, our new software technology generating virtual sensors by the integration of parking occupancy data coming from different existing or new sources and systems. Based on a patented algorithm which couples vehicle occupancy data coming from Tinynode car sensors with video images, radar signals or other sources, Parking Sensor Fusion returns a univocal piece of information about parking status with the smallest possible margin of error. Be welcomed at Hall 2, booth 02.211!